FM Static is a Christian/Pop Punk/Rock/Pop band with a 'twinge' of punk rock. 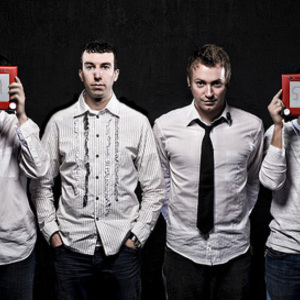 The band was formed in 2003 in Toronto, Ontario, Canada .The band was started as a side project by Thousand Foot Krutch frontman Trevor McNevan and drummer Steve Augustine. Based in Toronto, they are currently signed to Tooth & Nail Records.